As the construction industry evolves to larger and more complex projects with increasingly difficult to solve engineering obstacles, your needs are rapidly changing. At Hader-Seitz we understand that every day you are faced with more challenges, such as unexpected failures of critical hydraulics, new projects with high-complexity, and retro-fits or upgrades with new hydraulic configurations. 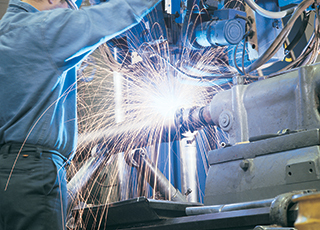 These often create a demand for custom-designed hydraulic solutions with crucial timelines. Our expertise in the construction industry helps us work with you to develop custom hydraulic solutions for your specialized applications. We understand that the harsh and demanding environments of your hydraulic systems are critical to project and daily operation success. Our engineering and design expertise allow our team at Hader-Seitz to take a comprehensive approach to custom design and builds to provide hydraulic solutions to fit your specific needs. From a small custom hydraulic piston accumulator for an automation system to a large custom jack-leg for building-sized equipment, Hader-Seitz is your partner in the construction industry. Click here to request a Hader-Seitz custom quote today.